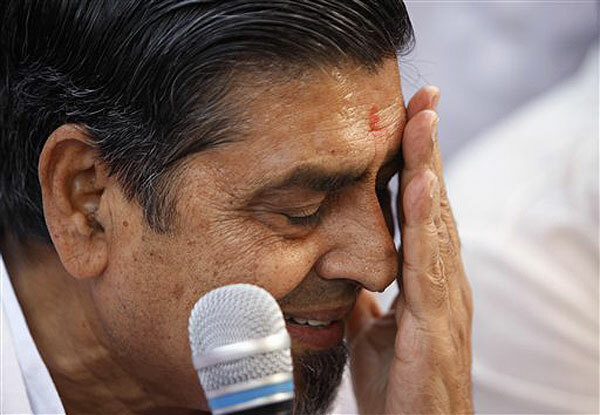 Senior Congress leader Jagdish Tytler coming out of after appearing at Patiala Court in connection with a defamation case, in New Delhi. 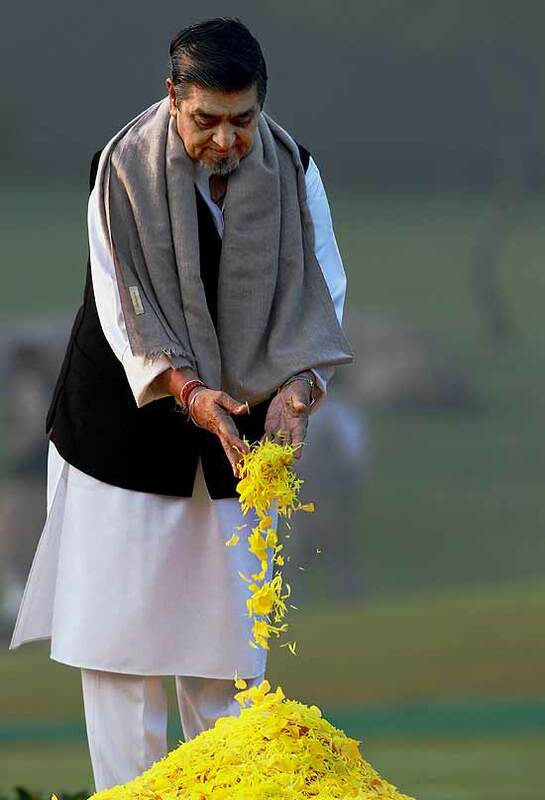 Former MP Jagdish Tytler pays floral tribute to former Prime Minister Indira Gandhi on latter's 93rd birth anniversary, at Shakti Sthal in New Delhi. 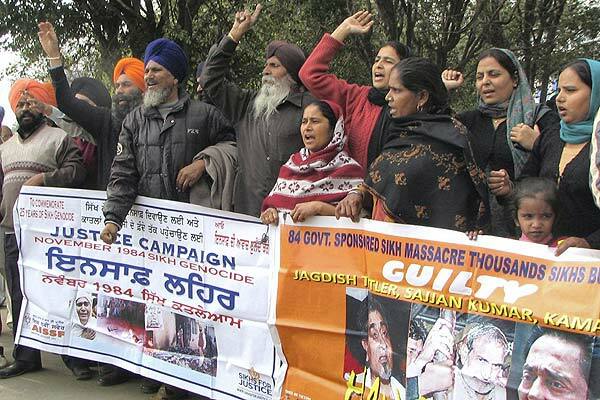 Relatives of victims of 1984 Anti-Sikh riots protest against Congress leaders Sajjan Kumar and Jagdish Tytler, outside the Karkardoom Court in New Delhi. 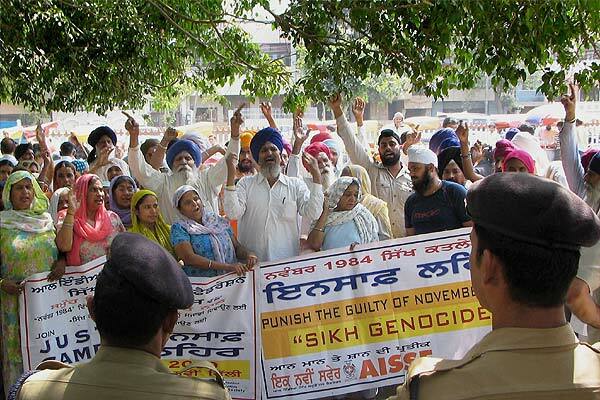 Victims of 1984 anti-Sikh riots protest against Jagdish Tytler and Sajjan Kumar outside Karkardooma Court in East Delhi. 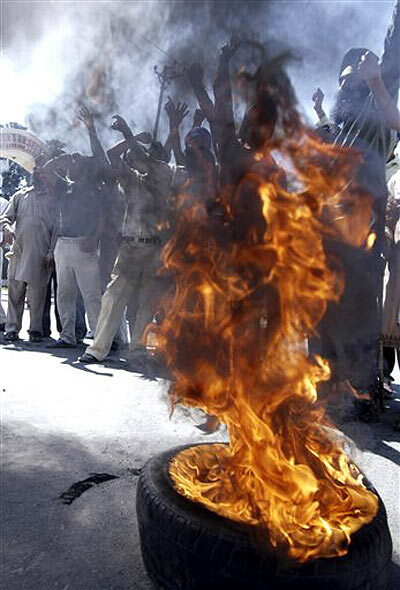 Protestors shout slogans as they burn an effigy representing Congress party leader Jagdish Tytler and Sajjan Kumar outside a court in New Delhi. 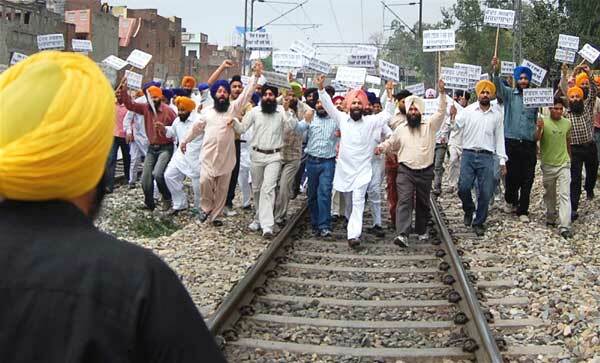 Activists of Sikh Student Federation protest against Congress leaders Jagdish Tytler and Sajjan Kumar, at Amritsar-Delhi rail track, in Amritsar. Tytler was seen leaving stage occupied by senior party leaders after having a conversation with Delhi Congress chief Ajay Maken. 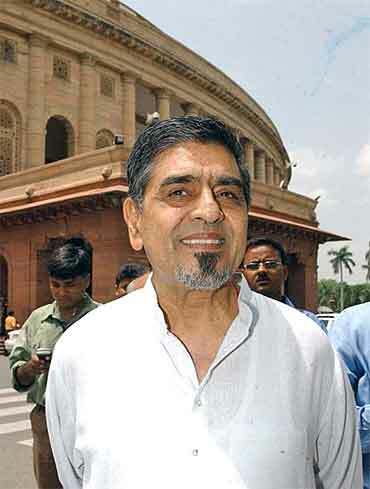 In an interview given to a news channel recently, Tytler had claimed that Gandhi took stock of the situation and asked him to contain the riots. 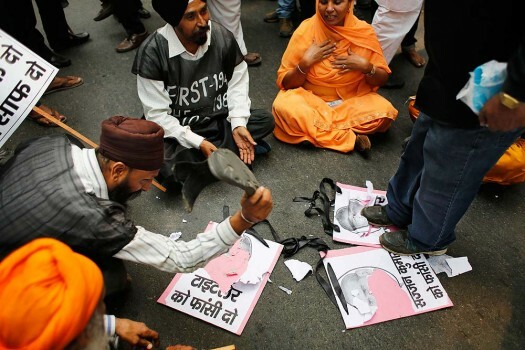 Is Captain Amarinder Singh trying to prejudge the guilt of a person who is perceived to be involved in the riots? 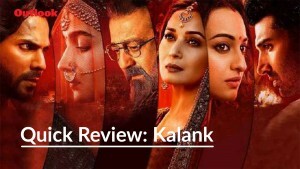 Peace is based on the concept of justice, and for most part in India, influential persons responsible for communal violence are never brought to justice. The late Malcolm Muggeridge once noted the difficulty facing satirists: How do you poke fun at reality when reality itself is bizarre? When Henry Kissinger gets the Nobel Peace prize, satire has little room for play. The hurt within the larger community remains, the anger is like a festering sore even today, and most say they have no real hope for justice. 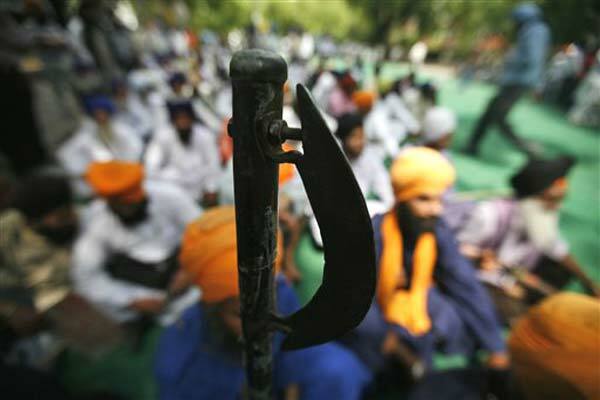 The difference is that the ordinary Sikh refuses to ally with any political party on this issue anymore. 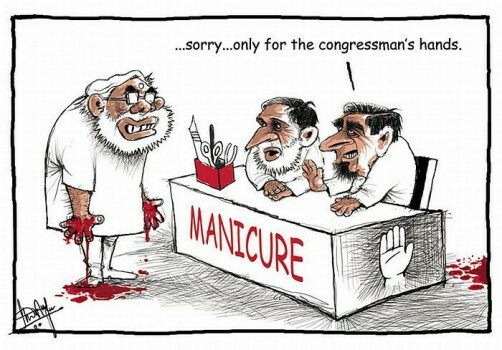 The CBI giving a clean chit to Jagdish Tytler or, as reported in the Indian Express today, dropping charges against Quattrocchi in the middle of an election campaign, is only symptomatic of this Congress-led UPA government's biggest problem: Its hubris. The CBI as an independent institution never had much credibility. 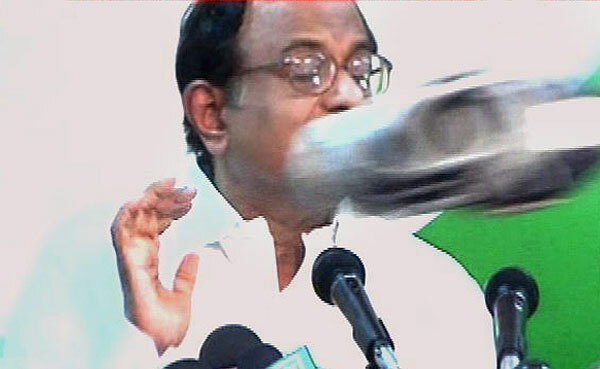 This government ensured that whatever was left has been ground to the dust. And in all of them it's the same cynical, brazen and blatant arrogance on display, as the Congress went about subverting due process in sheer disregard. 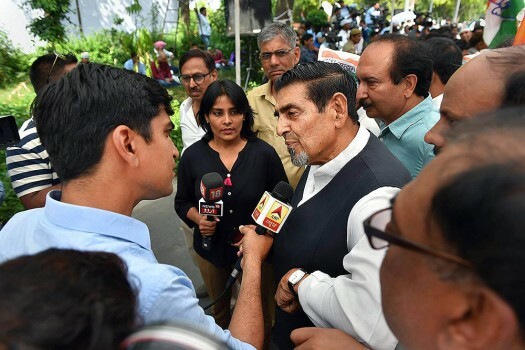 By dropping a Natwar Singh then or a Jagdish Tytler now, the party seems to think it has done the nation a favour, and merrily gone back to business as usual, issuing its empty sermons on secularism. Brazenly undermining institutions, particularly the CBI, will be some of this outgoing government's lasting achievements. [CBI Joint Director Arun] Kumar discussed the merits and demerits of the evidence against Tytler at length. 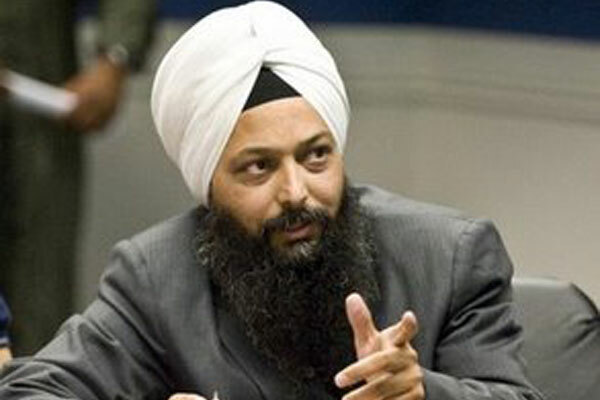 Kumar acknowledged that Surinder Singh had done several flip-flops in his testimony against Tytler. 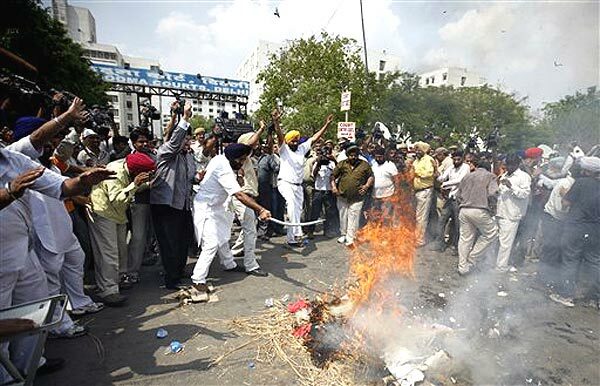 For example, he told the Nanavati Commission in January 2002 that Tytler led the mob and incited it to “burn the Gurudwara and kill Sikhs,” but he retracted this and filed a second affidavit in August 2002 denying the first. He reaffirmed this affidavit in April 2006 but then in an interview in December 2007, he claimed he had seen Tytler inciting the mob, a charge he repeated when he was examined in the US. “The cases have been politically used and misused time and again. If one relies upon the statements of witnesses, their changing statements will be quoted to prove them unreliable. On the other hand, the other side will argue that accused persons are so influential that nobody can depose truthfully in India. [Soli] Sorabjee was absolutely uncompromising when it came to the integrity of the affidavits that the CJC was going to submit before the Mista Commission. He would repeatedly say to me, 'Go for quality, not quantity'. He was insistent that while preparing the affidavits of the victims and others, we should ensure that they were packed with facts, stark facts, with no embellishments, and authentic to the last detail. Sorabjee taught us, in effect, to crossexamine our own witnesse so that we were fully satisfied that he or she was genuine. The idea was to pre-empt the possibility of any of our witnesse breaking down when the other side would actually cross-examine them before the Misra Commission. 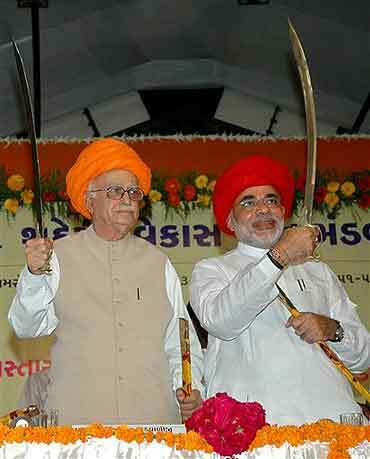 The exacting standards set by Sorabjee increased my responsibility manifold. As the CJC's convenor, it was my task to get affodavits prepared with such rigour. Given the magnitude of the task, it was not possible for me to do it single-handedly. Fortunately, a number of advocates volunteered their services to the CJC for preparing affidavits. But since I was junior to most of them too, the only way I could seek to enforce quality was by invoking Sorabjee's moral authority. 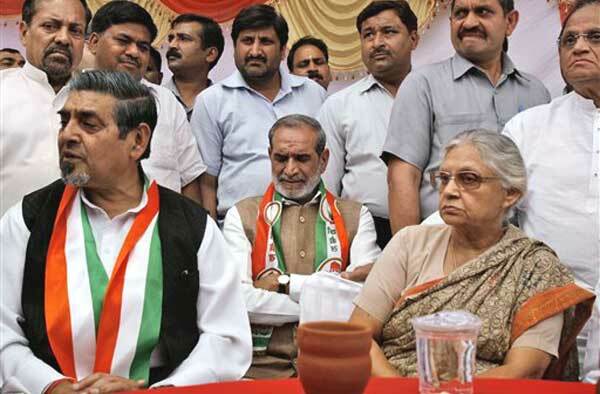 the Congress party’s decision to give tickets to Sajjan Kumar and Jagdish Tytler is a reminder of the impunity that is built into the very edifice of Indian politics and law. 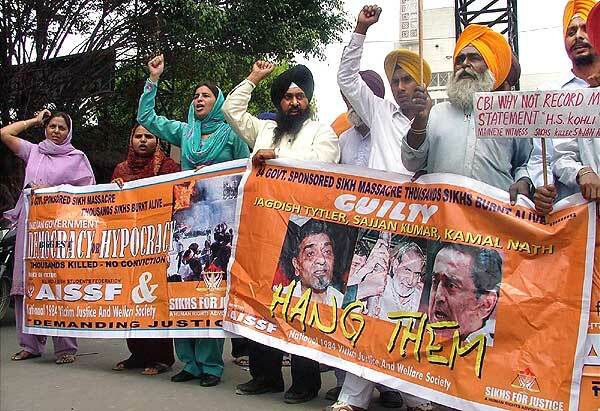 I do not care how many innocent people might have died as a result of the actions Mr. Tytler is alleged to have committed. The answer to that question involves a burden of proof which is beyond the ken of an average person. The question I want an answer to is this: How many people did you save, Mr. Tytler? You were an important leader of the ruling party at the time and your clout is such that the Congress even today feels obligated to give you a ticket. "When a big tree falls, the earth trembles!" A Sikh displaying black humour told me: "That's okay, but were there only Sikhs sitting under that big tree?" The Nanavati report is utter garbage. All the killers are roaming freely. 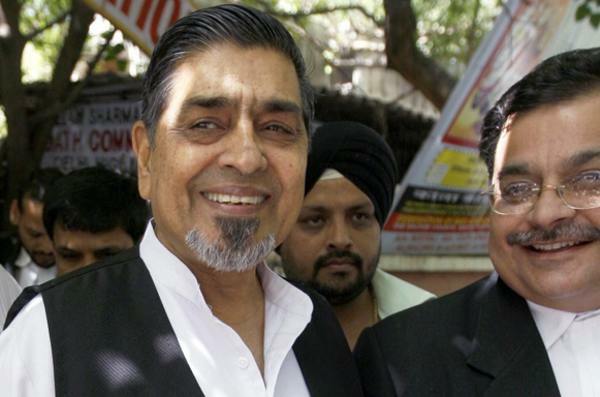 Tytler's counsel objected to the test, saying the CBI has not given any reason for conducting it and the agency's plea for the test was a "gross misuse of law" and it was filed with "malafide intention". 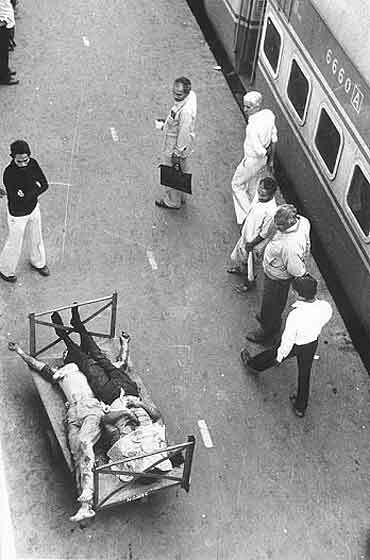 The case pertains to death of three Sikhs in the aftermath of the riots that broke out after the assassination of the then Prime Minister Indira Gandhi.